Walmart has started directly competing with Gamestop. 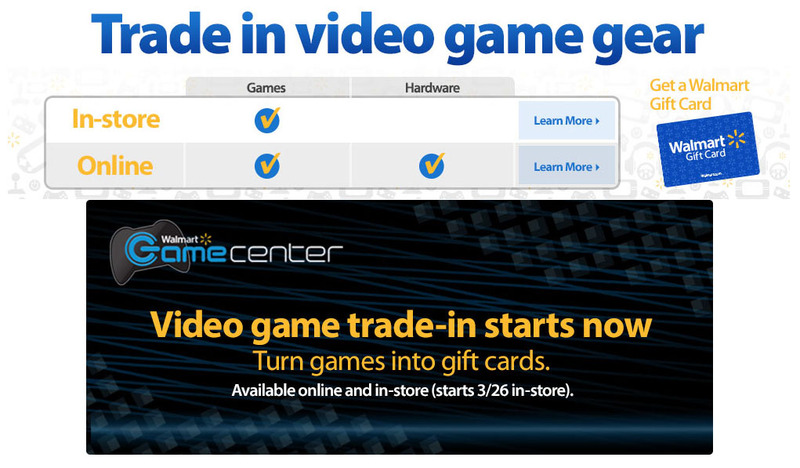 You can now trade in your old games on Walmart's website or in store. They are paying much higher rates than Gamestop too. Newer games are getting trade in values around $35 each. Don't expect Walmart to give you handfuls of money though, you can only get Walmart gift cards for your trade ins. Remember the days when Wal-Mart never got a game on its release date, and it would be a week later most of the time? EB and Babbages were a godsend back then. EB Games was the place to be for any games on launch days! Update! 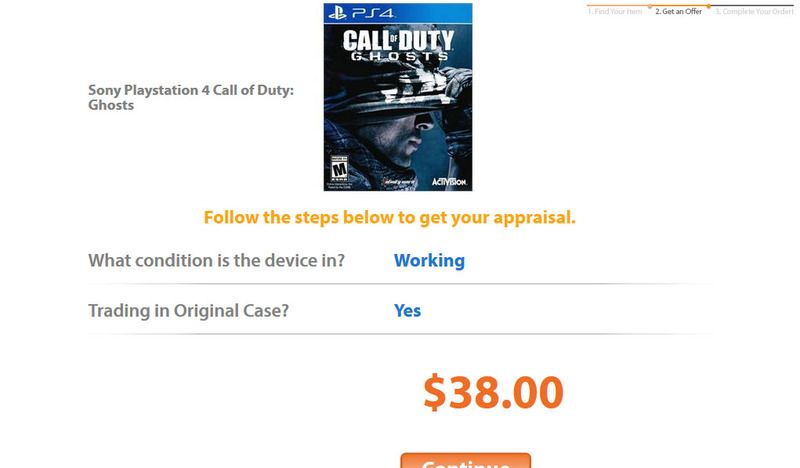 These walmart trade in rates being so high is a glitch in their system. In store rates are different. The glitch seems to cause the highest paying games to be random PS4 games. Like that Call of Duty Ghosts trade in value for PS4 is $38 but the Xbox One trade in value is $13.61. This looks like a huge glitch.